We can’t think of anyone with more global experience of Influencer Identification and Engagement than our company. We started Influencer50 in 2004, before anyone was talking about the importance of market influencers. In 2009 we wrote the book ‘Influencer Marketing: Who Really Influences Your Customers?’ – a book that pretty much kickstarted the current phenomenon across marketing departments worldwide to target influencers as a primary focus. 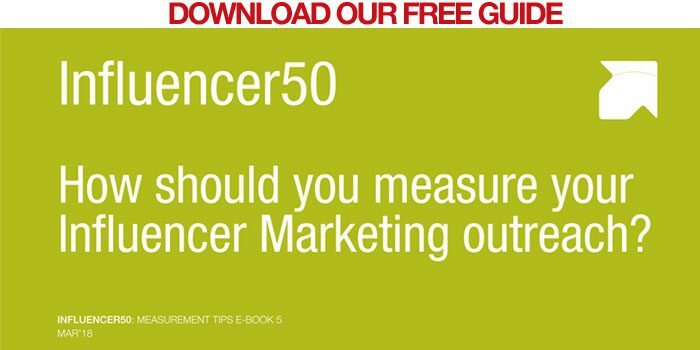 Influencer50 provides Influencer Identification, Engagement & Measurement Programs to B2B and B2C clients ranging from emerging startups to global giants like IBM, Microsoft & Walmart. We can help with every aspect of our client’s Influencer Programs. Our core differentiator is our proven research methodology encompassing offline, online & social influencers. No-one else has this. We’ve worked for clients in almost forty countries across four continents, in markets as diverse as federal government and higher education to online shopping sites and auto manufacturers, from the world’s largest retailer to ten-person start-ups. Influencers greatly affect them all. We can guarantee you wont already know all of your major influencers – we doubt you’ll know more than maybe 40% of them – and the ones you don’t know may well be the most important ones. They offer a very significant competitive advantage to you. And some will provide new leads and new routes to market for you. And don’t for a minute think they’re all on social media these days. All our experience tells us they’re not. You’ll need to consider offline, online and social influencers. That’s our differentiator. We have an award-winning proven research methodology for uncovering and identifying your most important market influencers – the ones who most influence your decision-making prospects. Whatever channels they use. The ones who influence sales. Not those who simply shout the loudest. Whatever your choice, you’ll need to measure the results and present your successes back to your management. Our range of InfluencerTracker Dashboards do just that – client-secure, web-based 24/7 graphic displays of who your influencers are, what they’re doing and how you’re progressing with them. Whatever your market. Whatever your company size.